A little more than a year ago, I first discovered indie writer Kelly Oram when I bought her book V is for Virgin. Since then, I've also read--and written glowing reviews of--The Avery Shaw Experiment, Being Jamie Baker, and More Than Jamie Baker. So when Kelly announced she'd be writing a full-length sequel to V is for Virgin, I freaked out just a little bit. and grab yourself an e-copy. Read it, and then come back here to read my review of A is for Abstinence. Since this is a sequel, even the book's summary reveals spoilers of the original. So if you keep reading below, you acknowledge there are spoilers for V is for Virgin, and you won't hold me responsible for ruining any joy in reading that glorious novel for the first time. From Kelly's website: Six-time Grammy Award-winning musician Kyle Hamilton has it all—money, fame, talent, good looks, and a job he loves. His only regret in life: walking away from a certain notorious virgin because he was too prideful, stubborn, and even afraid to give her the only thing she asked of him—his abstinence. Y'all. Words do not do the sexiness of the make-out sessions in this book justice. Like, you could probably enjoy the book based on those scenes alone. I had feels. In my lady bits. Who knew a book about abstinence would be so stimulating? The book begins almost a year before the epilogue in V is for Virgin, but it quickly jumps forward to that moment, when Kyle and Val reunite. What follows is really amazing character growth for Kyle. While he certainly showed some in the first book, this sequel allows him to grow up in a lot of ways and begin to understand Val's convictions. This is a fluffy young adult novel, even if the characters are now in their 20s. I hope it's not too much of a spoiler if I mention that romance blossoms between the protagonist and "the one that got away." 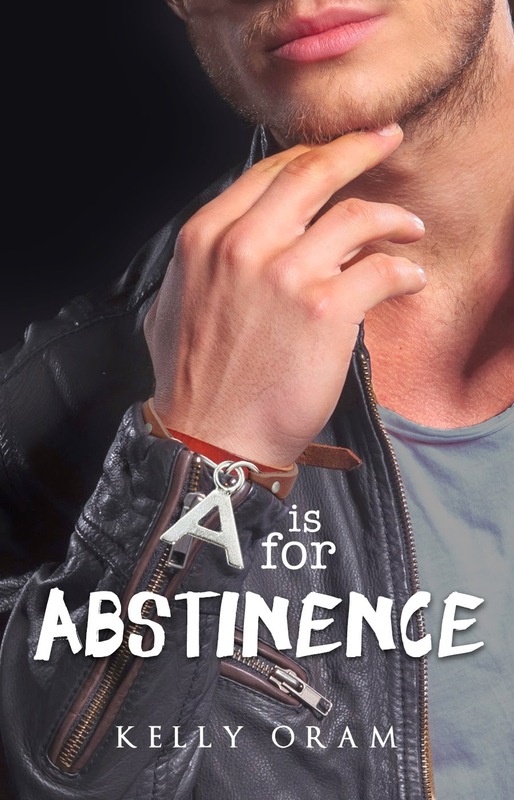 As much as I loved A is for Abstinence, it wasn't perfect. Like many young adult novels, including Kelly's other books, Kyle's character has one obnoxious, disturbing trait: he assumes that he knows Val better than she knows herself, and he doesn't always believe her when she states what she wants. In case there are any young men reading this book and this review, please please please take this to heart. If a girl says she doesn't want to go out with you, she doesn't want to go out with you. If a girl says she doesn't want to kiss you, she doesn't want to kiss you. If you keep badgering her until she changes her mind, that doesn't necessarily mean you were right. It could just as easily mean that you scared her enough to say yes. Like I said, this is a troubling trend in many books aimed at teens, the insistence of writing male characters who don't actually listen to the girls they pursue. Other than that, I absolutely loved Kelly Oram's A is for Abstinence. I highly recommend it to anyone who was a fan of V is for Virgin. I can personally relate to the heroine so much, as I also wait until marriage. :) I am in a happy relationship, however my boyfriend had done it only once before. When we started our relationship though, he agreed to wait for it until our marriage. He loves me so much that he accepted it immediately when I said that I cannot give him what he initially wanted. I am lucky that he understands and respects my decision. Things get hot sometimes, exactly as in the book. But we always stop before anything more serious happens. I admire him, you know. I think that for someone who has done it before, it's difficult to say no to temptation. Especially men, who are physically a bit more prone to it. Also I can relate so much to the dialogue where Val complains about Kyle's past. I used to feel insecure about my boyfriend's past (even though it's a short one) that I have used some exact phrases of the book's text and he used almost the same answers. :D It doesn't bother me so much now, as I know that if someone can sacrifice such a big pleasure for their soul mate, then they are really into it, they offer all their love to their significant other. Thank you again for informing us about these interesting books! <3 They touched my heart and I enjoyed them until the last page!